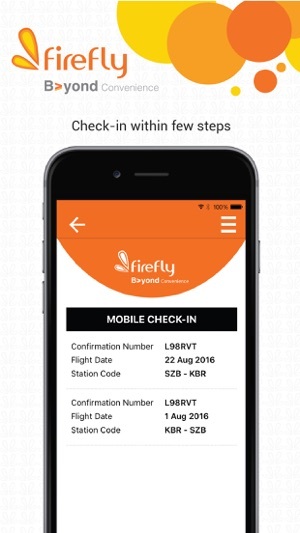 Introducing the new version of Firefly app that makes your travel easier from booking to boarding and beyond, with redesigned navigation, simplified booking flow and a history of all your bookings in one place. It is now easier to make and manage your travel plans. • Search and Book Flight. • Book one-way or return trips. 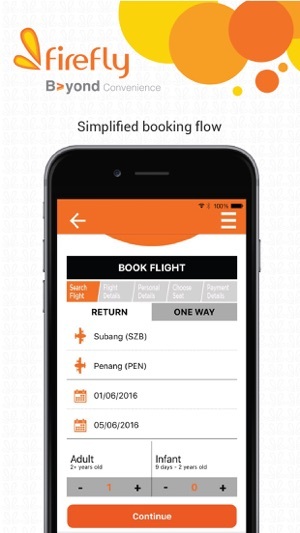 • Fare features displayed during the booking. • View and select your seats or let us assign for you. 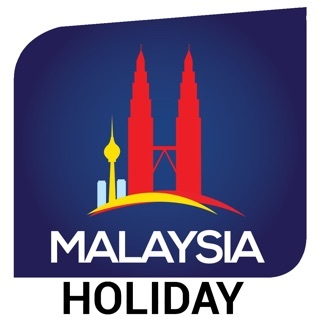 • Secured payment via Credit Card (Visa, MasterCard or AMEX), Maybank2U, CIMB, AliPay, UnionPay, FPX and Boost E-Wallet. 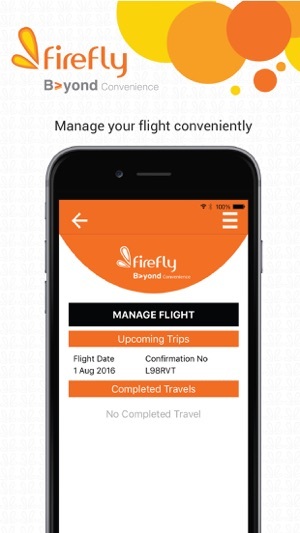 • Manage your flights easily within the app. • Collect Enrich Miles while you are travelling. 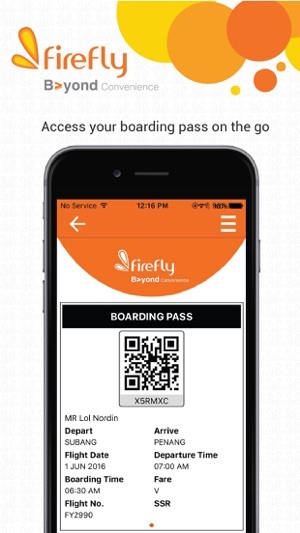 Go ahead, download the free mobile app and book your Firefly flight using your mobile! 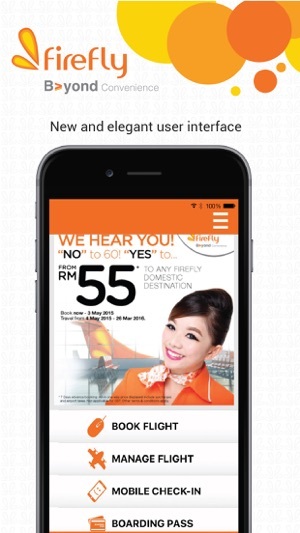 Follow us on Facebook (https://www.facebook.com/Firefly), Twitter (@FlyFirefly) and Instagram (fireflyairlines) and stay tuned for​ our latest promotion! After the recent update, the app is unusable. Freezes at first page with message "New Version Available". When you click the "update" button at the bottom of page, takes you back to same link at app store. What a let down. Been trying this the last 3 days with no resolution and had to use the web for booking. Epic failure. I updated the app today and now whenever I open the newly updated app, I can’t go past the page saying App needs to be updated. Come on firefly! If your app vendor cannot do this properly, get another vendor.